Thank you to Boppy for the products. All thoughts and opinions are my own. Yay, you're pregnant! It is so exciting. You may or may not find out the gender and prepare everything in your life for a new addition and a whole new phase. The baby registry; oh boy, can it get overwhelming. Which products are the best? Safest? Most useful? I can tell you of all the brands, I have seen Boppy gifts not only at my own baby shower, but at every other baby shower I've attended. Boppy is a not only a well-known name, but the products are high quality and made to make being a new mom a little easier. Boppy, the brand, started because the daycare asked for parents to make pillows that could support the babies when they weren't being held. 30 years later the Boppy Feeding and Infant Support Pillow is still used by many moms, dads, grandmas, and grandpas. Along with the pillow, Boppy also has products to support the prenatal and postnatal stages. 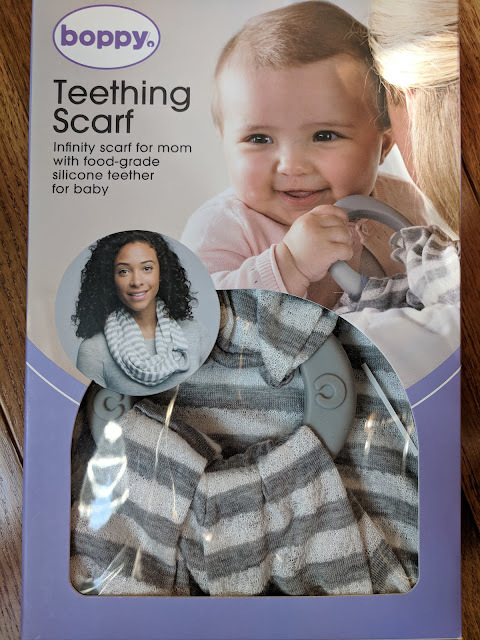 I had the opportunity to try the Shopping Cart Cover and the Teething Scarf. The Shopping Cart Cover is even more awesome than I thought it would be. 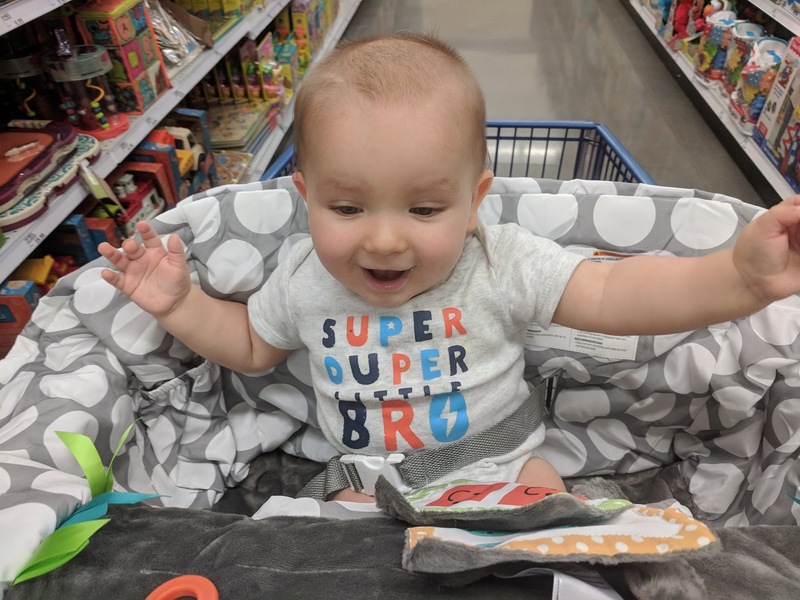 It fits well over the entire seat for Maverick, providing a little cushion, but keeping him from all the germs on the cart. The little leg holes have a super soft lining around them for extra comfort. The cover also has little tags and a couple scrunchy toys to keep him entertained. Love, love, love this. I'm so glad to have it especially during the winter. Maverick is so excited to be sitting the in cart with the awesome Shopping Cart Cover! Maverick is teething something fierce so the Teething Scarf is getting its use. The scarf is fashionable and goes with a lot of different colors. The teether itself is solid and great for Maverick to chew. I love products that make women feel good and are also useful. I already own the pillow for nursing and I have loved it with both kids. 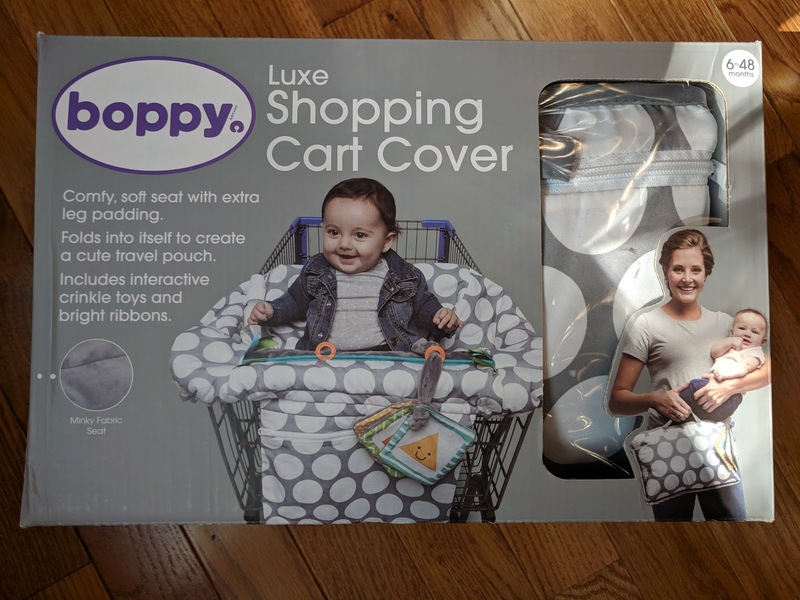 Boppy really creates products that are stylish and functional. At least one Boppy product should be purchased for every new parent. The Boppy Shopping Cart and Restaurant High Chair Cover runs $30 and comes in 3 different patterns. 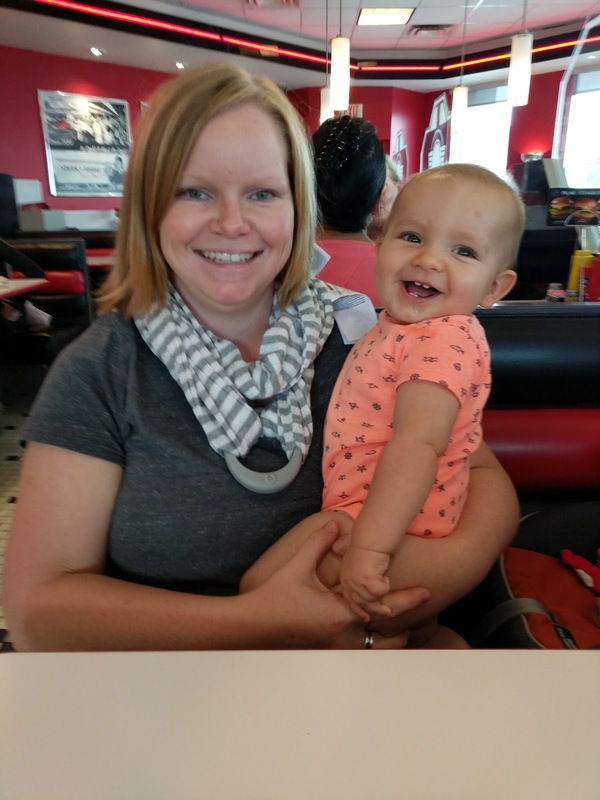 The Boppy Teething Scarf is $20 and is a newer item in the Boppy collection. Follow Boppy on social media for new product information and more! What is your favorite Boppy product?